Orion® Safety's 104-piece Extreme Weather Roadside Emergency Kit is designed for protection against most roadside emergency emergencies during extreme weather conditions. 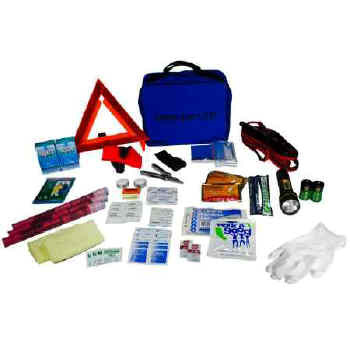 With emergency signaling, lighting, survival, automotive, personal, and first aid products, this kit provides what's needed until outside help arrives. Contents subject to change without notice. Size: 12 1/4" x 10 1/4" x 4 3/4"